A collaborative research project called Autonomous Surface and Sub-surface Survey System (ASSSS) aims to deliver an integrated system to provide a means of conducting low cost, shore based, full water column marine surveys using multiple unmanned systems. The project, part funded by Innovate UK, hopes to encourage wider adoption of unmanned systems. 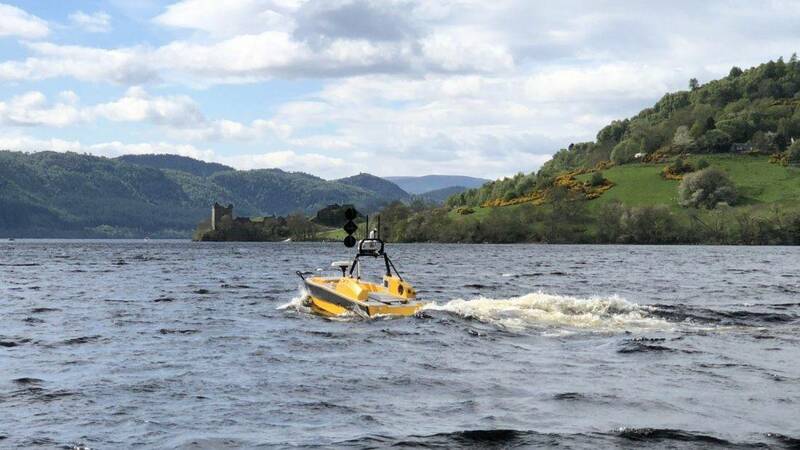 The project is being led by a U.K. based developer of unmanned and autonomous marine systems, ASV Global. 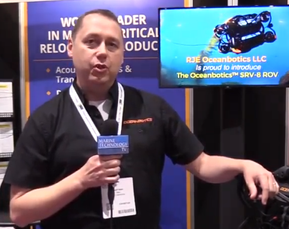 It combines the advantages of autonomous underwater vehicles (AUVs) and autonomous surface vehicles (ASVs) to further data gathering opportunities. The ASV follows the AUV in order to provide position updates to improve dead reckoning while the AUV provides status updates and basic survey information back to the ASV to be transmitted to shore. The project team involving software company SeeByte; provider of underwater acoustic, inertial, optical and sonar technology Sonardyne; and the marine science research and technology institution National Oceanography Centre (NOC) are carrying out trials in Loch Ness in the Scottish Highlands this week (May 14, 2018). The latest round of testing builds upon the capability demonstrated in two previous trials in 2017. The initial trial in May 2017 saw the C-Worker 5 ASV successfully communicate with, and track, the ALR over a six-day period. Sonardyne provided a comprehensive suite of underwater positioning, communications and imaging technology for the Autosub Long Range (ALR) AUV developed by NOC. Trials in September 2017 took place in Plymouth over 13 days and included night-time operations. These trials focused on gathering solstice side scan data for sea floor mapping using the ALR and transmitting real-time snippets of the data containing interesting features back to the ASV using the BlueComm 200 underwater optical communications system. The follow and search behaviors executed by the C-Worker 5 could be configured to follow the target at an offset to the course and can also be configured to respond to different target sources such as an automatic identification system (AIS) which was also seen in this set of trials. Other successes during this demo included the launch and recovery of the ASV and AUV from a 6T SWL hydraulic crane on MTS Terramare, a 26m converted landing craft. This helped to prove the application and capability of the ASSSS system for smaller survey operations. According to ASV Global, the main objective of this project is to accelerate the wider adoption of unmanned systems and enable long term, low-cost survey and monitoring operations for offshore energy applications, deep sea mining prospecting and Carbon Capture and Storage (CCS) monitoring. There will also be a consequential reduction in the need to place humans in dangerous environments and a greater acceptability of unmanned systems by operators and regulators, the company said, adding adoption of the technology is likely to spawn opportunities in adjacent market sectors and facilitate cross domain technology transfer.